Summer Camp Registration, Now Open! 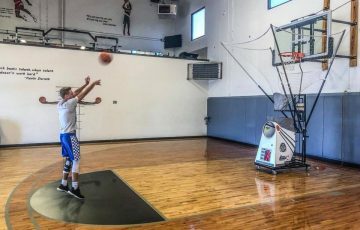 Bend Hoops is the first year-round dedicated basketball facility offering a comprehensive training program for boys and girls of all ages. 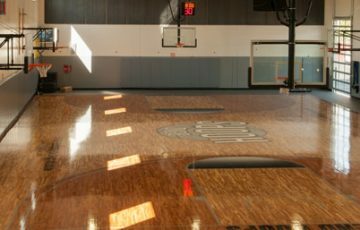 If you are just looking to have some fun or you want to take your game to the next level, we have one full-size court, one half court, weights and floor space to train. We provide the state-of-the-art facility — all you need to bring is your game! 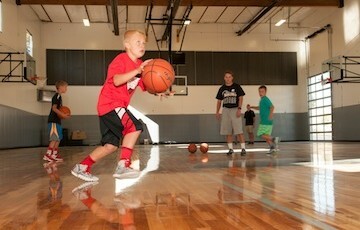 The Academy at Bend Hoops helps kids at any age develop on court skills, from beginning to advanced, in one-on-one or small group settings with positive coaching and specific feedback. We also offer travel teams, clinics, camps and athletic conditioning programs that give kids the opportunity to improve their overall physical fitness, sportsmanship, and athletic integrity. Host a memorable event on our wood courts. Bend Hoops has quickly become a desired location for outside groups to rent for practice space, summer camps, tournaments, team practices, workouts, birthday parties, and more. Pricing will vary depending on time and type of the rental.